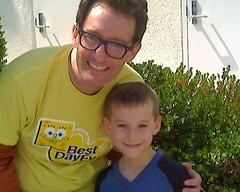 Cooper and I are in Santa Monica for the Kid’s Choice Awards 2007. And man, is it a blast so far. I think I’m having more fun than Cooper!